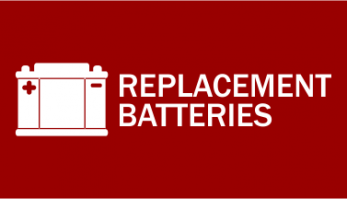 Get your car battery and battery charging system checked FREE at SRS and it only takes around 5 minutes to complete. Avoid dirt, grease and potential electric shocks with a digital battery check. Choose SRS for your battery check. You must be very careful when handling a car battery, as they are heavy and contain sulphuric acid, which is highly corrosive and must not come in contact with your skin or eyes. Most modern car batteries carry a performance indicator and are maintenance free so there are generally no physical checks you can perform yourself, except to make sure that the terminal connections are tight and not corroded. You may want to coat the terminal connectors with petroleum jelly to help prevent the build-up of corrosive material. Your car battery is usually situated under the bonnet of your car. However, there are some vehicle manufacturers that put the battery under the rear passenger seat or in the boot of the car; generally these positions are more common on large executive vehicle models. Vehicles like Mercedes, Porsche, Rolls Royce and Mitsubishi can sometimes have two batteries, generally where the engine size is large. Your vehicle owner’s handbook will tell you the location of your car battery and the checks you can perform. If you look at any battery, you will notice that it has two terminals. One terminal is positive, marked with a plus sign (+), while the other is marked with a negative or minus sign (-). Unlike a torch battery that has a positive and negative terminal located at each end, car batteries have two heavy duty lead posts that are both situated on the top of the battery casing. Remember to take extra care when tightening the terminal connections. Over tightening can result in damage to the battery casing or lead posts and ultimately, premature battery failure. Beware of crossing or connecting the positive and negative terminals as this can cause an electric shock, irreversible damage to the battery cells and in extreme cases an explosion. Why not leave it to the experts and call in to SRS today?